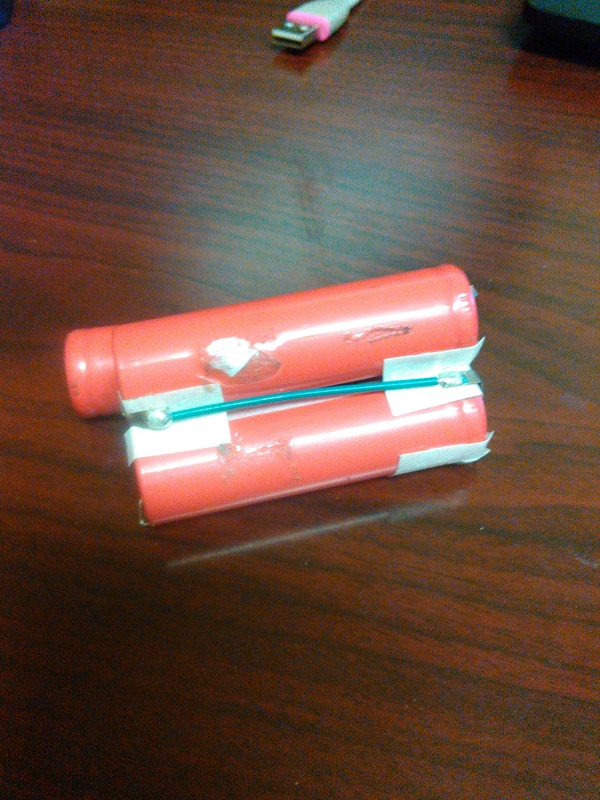 Ok, I know this is frowned upon and just so everyone knows, I take VERY good care of my batteries. 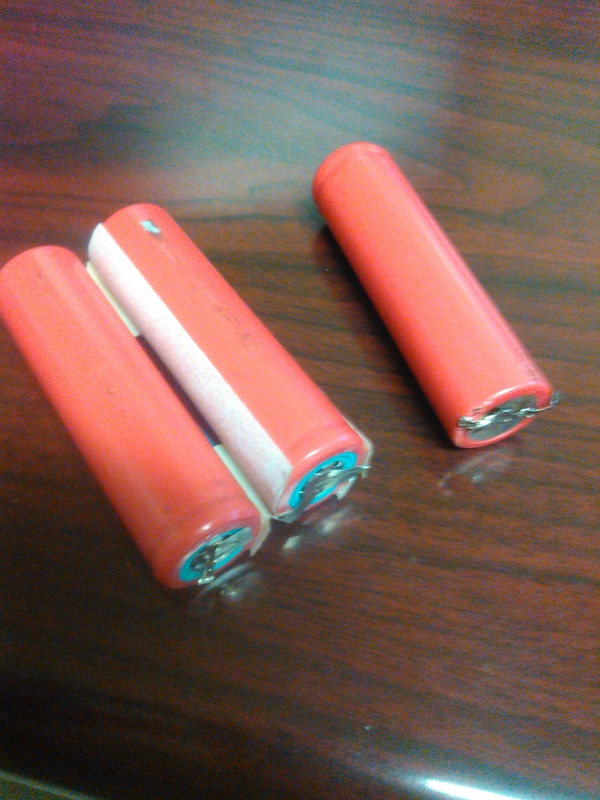 However, for about year now, I've been using 2600mah 18650 canister and 1200 "flat" LiOn batteries out of laptops. The weight ratios are comparable and over the years I've collected DOZENS of these guys. I never run them without a timer and never more than 20% of cap. And just so everyone knows, I'm not condoning the use of canister lithium batteries. They are DANGEROUS if you're not careful. Think about all the times you've puffed a lipo. If that were a Lion, you would have had fireworks inside your plane. The reason Lions are able to be used in laptops is because of the extremely dynamic charging systems they use. With that being said, be sure to balance charge, always charge outside or in a protected area, and never over amp lions. Also, be wary of gutted batteries. With their use/misuse unknown, the chances get much higher for an accident. Disclaimers out of the way, I've built several 2s, 3s, and 4s setups with both of these versions of Lion. I'm also going to be using a pair of them in my fs-i6x. I figure I've made about $300 worth of bat packs over the last year and I still have dozens of laptop packs to gut. I just tore another 9 out of an old thinkpad last week and I'm planning on setting up a 5200 3s pack for the Golden Goose MkII. But that's another thread for another time. I will say that I get much better performance out of the Lion packs than I do with Lipo. This isn't a very fair comparison though since I only buy Lipos on the cheap. Lions do seem to take a bit longer to charge, they don't seem to get nearly as hot, and they HATE the cold. I don't know if this is just because of the casing or just their age. Also, I have yet to have a Lion go bad on me. All of these were old (10+ years) and after a couple of break-ins they all have worked flawlessly over and over and over again. Would you mind posting a how-to on this. I know there area number of videos. and I have a number of these batts. on hand from defunct electronics. I wanted to turn them into a flight pack. When I get home tonight, I'll grab my new set that I haven't soldered up yet and see if I can't do a quick video on putting one together without a tray. I also found some crazy 18650s with circuit protection and a micro usb charger built in. Very interesting to say the least but you'll have almost twice as much in one of these as a 3s compared to a lipo softie. Lithium ion batteries are great when you know what to do with them, there is a reason they are loved by the long range FPV community. 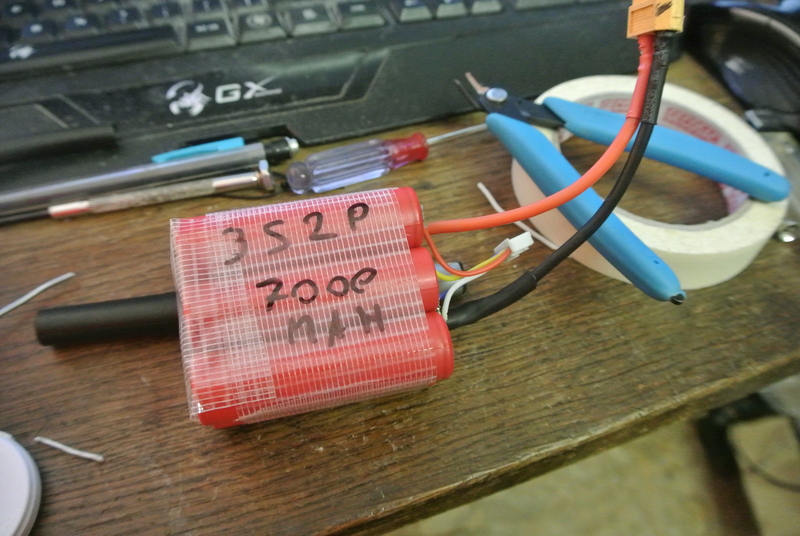 They have much better energy density than regular lipo at the cost of lower C rating, as for use they arent that contraining, charge them at 0.7c (usually), never go over their rated discharge and balance them. I have a 7000mah 3s2p pack in a glider, it weights as much as a 4400mah lipo pack but gives better performance due to the higher capacity. Having a spot welder is recommended to solder them because heat will damage them rapidly but I found using a hot iron and pre-tinning the contacts to solder onto them with a short amount of time works, also having some sort of heat sink around them to make sure they don't overheat. Fluburtur you make an excellent point. 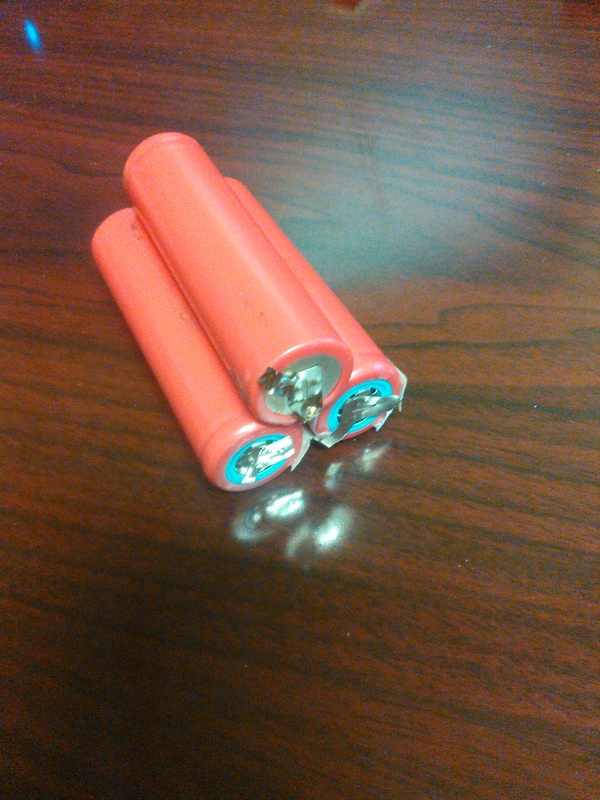 The exact batteries I've got on hand are Sanyo UR18650FM with a 2c rating. I should have made the point as you did to NOT over discharge these cells. SO, will these be a direct replacement for all of your LiPo needs? No, not if you're running high amp systems. I will say that I've used these in a 3s config on my dual engine Goose, but I behaved myself and never experienced any excessive heat or performance issues. Granted I'm only running 1000kv 2212s and it doesn't take much throttle to float her around. I would also recommend adding some telemetry readers as well if you're pushing the envelope (which I'll be doing with the MKII). FoamyDM here's the guts I'll be working with. I believe these came out of an old generic Thinkpad x60. As you can see, I try to keep all of the factory wiring in tact to use as my connection points. I didn't get a chance to start the build last night but I'll try to finish it up this evening. Basically this battery was setup as a 9 cell 3s. 3 sets of 3 in parallel with the sets in series giving us roughly 11.1v at 7800mah. I like to use the series sets as they usually have some wiring already available to use. You'll need to break the series apart and rewire in parallel. It also helps having the factory wiring as it gives you multiple places to add a balance plug or in the least a 3 point charging setup so you can manually balance. I've been manually balancing mine just because I don't have any balance plugs at the moment. I won't get into too much detail right at the moment, but I'll try either doing a video tonight or a photo/instructional. (getting my new knock off go-pro tonight so I've gotta try it out anyway! ).